Josh Hausman is an Assistant Professor of Public Policy at the University of Michigan. His research interests are in economic history and macroeconomics with a focus on the U.S. economy in the 1930s. He is currently studying what ended the Great Depression in the U.S. in spring 1933 and the role of the auto industry in the double-dip recession of 1937-38. Previously, he examined the effects of a large 'bonus' payment to World War I veterans in 1936. Josh holds a B.A. in Economics from Swarthmore College and a Ph.D. in economics from the University of California, Berkeley. From 2005 to 2007 he worked as a research assistant at the Federal Reserve Board, and in 2010 he worked as a staff economist at the Council of Economic Advisers. 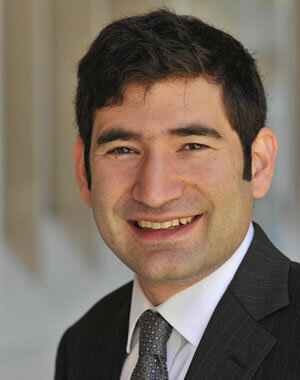 Josh won the 2013 Allan Nevins prize for the best dissertation in U.S. or Canadian economic history. Hausman's Brookings Institution paper analyzes Japan's new economic policy – "Abenomics"